EMI gasket mounting should be considered early on in the design stage, advises Southern 2019 exhibitor, Kemtron. The correct choice of conductive EMI gaskets will ensure good performance in both EMC and environmental fields. As a general rule the more land area available to fit a gasket will give greater options. Many mounting methods are available, such as pressure sensitive adhesives, form in place, clip on, slot mounting, mechanically captured and groove/channel types. The application will generally dictate which method is used i.e. door seals, access panel seals, whereas conductive fabric over foam lip seals offer the lowest compression force, as the gasket deflects. Beryllium copper fingers can also be very easy to compress but can suffer damage through snagging and broken fingers. Sponge or hollow tube type gaskets, such as knitted wire over a rubber core, offer medium forces, while solid silicone rubber seals loaded with conductive particles will be the hardest to compress but offer a good dust and moisture seal which metallic gaskets such as beryllium copper fingers and knitted wire mesh will not provide. An additional rubber seal will be required, which can often be incorporated as part of the EMI seal but can make the gasket wide, requiring more space. 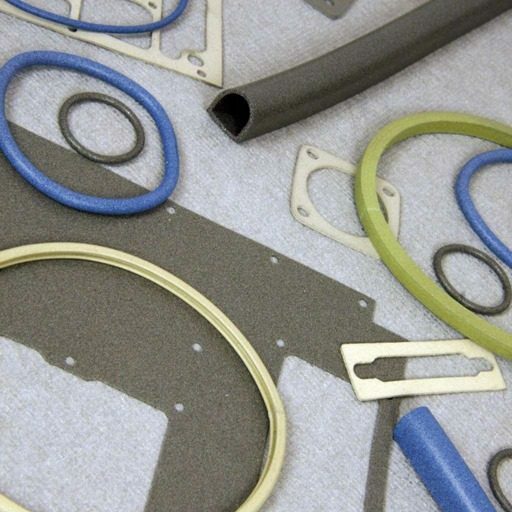 Visitors to Southern Manufacturing & Electronics 2019 will see these gaskets offered by the company as well as conductive fabric over foam gaskets which give adequate dust protection but moisture can wick along the surface of the material. The company also offers conductive elastomers (silicone or fluorosilicone filled conductive particles) which will provide excellent dust and water sealing up to IP 68.